Universal Studios Hollywood’s premier Halloween event, “Halloween Horror Nights,” continues to unlock the terror that torments movie-goers with the announcement of two new original scare-zones: The Purge, based on Universal Pictures’ summer blockbuster and upcoming Blu-ray™ and DVD release, and Universal Studios Home Entertainment’s Blu-ray™ and Digital debut of Curse of Chucky, an all-new movie where Chucky returns to horrify viewers in the latest unrated chapter of the blood-soaked suspense saga. “Halloween Horror Nights” begins on Friday, September 20, 2013. Designed to provoke an unrelenting sense of fear for “Halloween Horror Nights” guests, numerous scare-zones will be riddled throughout the event to consistently terrify and traumatize them at every unsuspecting twist and turn. The provocative box-office blockbuster, The Purge, will come to life as “The Purge: Survive the Night.” As guests enter the theme park, they will be thrust into the depraved world of The Purge, a sordid tale in which all crime is declared legal and no one is safe for one single night; a story, in which all criminal activity, including murder, is legal for 12 hours. Ironically, the gates to “Halloween Horror Nights” swing open at 7:00 p.m. sharp; the same time havoc is reaped upon the citizens in The Purge. 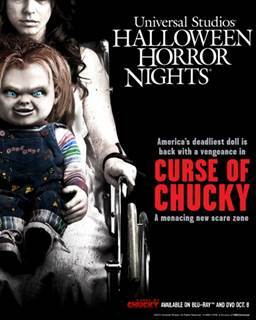 Inspired by the upcoming Blu-ray™ and DVD release of Curse of Chucky, the eponymous scare-zone will bring the terrifying pint-size doll, possessed by the spirit of a notorious serial killer, to life. Having made special appearances at past “Halloween Horror Nights,” this is the first time the sinister doll has commanded his own scare-zone to shock and terrify guests for his amusement. The Purge, a thought-provoking thriller from director and writer James DeMonaco (Assault on Precinct 13, The Negotiator) and producer Jason Blum (Paranormal Activity, Sinister), stars Ethan Hawke (Sinister, Insidious, Training Day) and Lena Headey (“Game of Thrones”) as a husband and wife engulfed in the madness of a lawless night, The Purge will be available on Blu-ray™ Combo Pack with DVD, Digital including UltraViolet™, and On Demand on October 8, 2013, from Universal Studios Home Entertainment. “Halloween Horror Nights” 2013 at Universal Studios Hollywood brings together the sickest minds in horror to immerse guests in a living, breathing, three-dimensional world of terror, and offers a slate of unrivaled film production quality mazes, Scare Zones and “Terror Tram” experience – all uniquely themed to today’s most definitive horror properties. 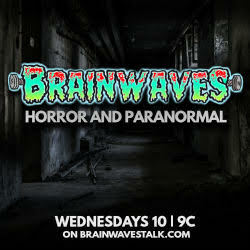 This year’s haunted attractions will also include: “The Walking Dead: No Safe Haven,” based on AMC’s Golden Globe-nominated, Emmy Award-winning TV show, “Evil Dead: Book of the Dead,” inspired by Sony Pictures Home Entertainment’s chilling remake of the cult classic, “Insidious: Into The Further,” based on the 2010 horror thriller “Insidious” and the upcoming sequel “Insidious: Chapter 2,” and “Black Sabbath 13 3D,” inspired by the darkest lyrics from the multi-platinum rock band’s 43-year history of Heavy Metal music.